On Saturday 7th June, Michael Were, (photo: on the right) Manager of Open heart International was interviewed on Sydney radio station ‘2UE’ (AM954). If you didn’t get a chance to tune in we have a copy of the interview on our website. Why not have a listen now? Click here to download the MP3 file (4MB). 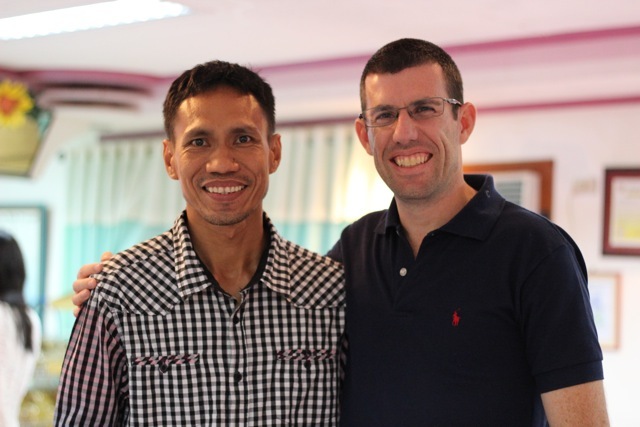 Photo: Erwin Tescon (L) and Michael Were (R) taken in the Philippines.